Mmmmm - i haven't had chicken liver for years. It is cheap and very tasty - i bought the most expensive chicken liver i could find - organic, free range from waitrose - and its still only a few pounds. And what great flavour you get from a recipe like this. Definitely one to make. 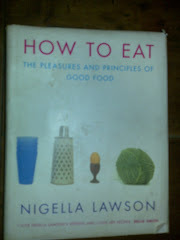 - Remove any gristle from 200g chicken livers and put them in a dish covered with milk for about 10 mins. - Chop 1/2 stick celery, 1 clove garlic, 1 shallot or spring onion, and 1 tablespoon parsley in a processor. - Heat 2 tablespoons olive oil and add the vegetables and cook gently for about 5 mins. - Drain and dry the chicken livers, chop them by hand, add to the pan and cook until pink. - Add 1/2 tomato puree and cook for 1-2 mins, then add 4 tablespoons marsala or vermouth/sherry. - Let this bubble away mostly, add salt and pepper, then turn down the heat and cook gently for a further 10 mins. - Put the contents into the processor, add 1 teaspoon capers and 2 chopped anchovies, then quickly pulse together. - Put back in the pan with 1 tablespoon butter and cook gently for another few mins. 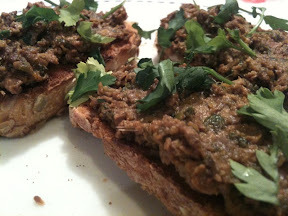 - Let cool before serving as crostini sprinkled with parsley.